DC Coax panel mount connector provides a flush mount power source. Spring loaded cover and the 6” Coax plug cable soldered on for plugging to the output of the battery harness or Heat-Troller™. 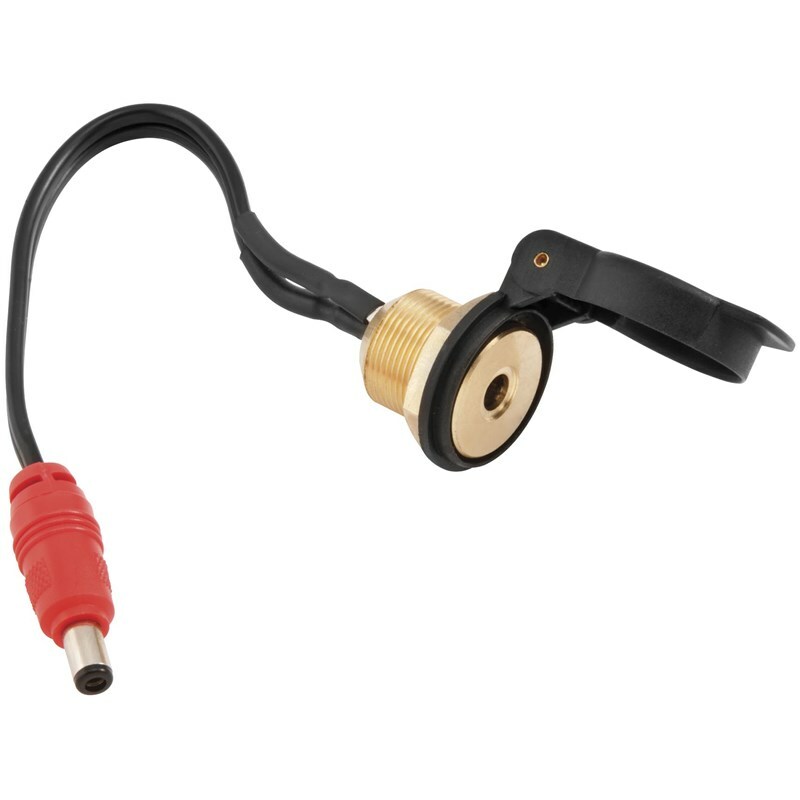 It allows a direct connection to the DC Coax power plugs used in the Heat-Troller™.